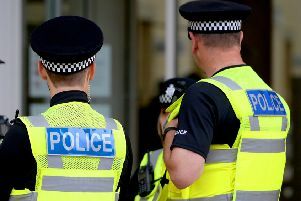 A 41-year-old man has been charged with 30 offences that allegedly took place in Horncastle, as well as outside of Lincolnshire. Solomon Billy Biddle appeared before Lincoln magistrates on Saturday charged with crimes, including theft, burglary, arson and assault. Biddle is accused of stealing a Ford Transit from South Street, Horncastle, on Tuesday, a Vauxhall Corsa from Green Lane, Hemingby, on Wednesday and damaging a custody cell by defecation at Boston Police Station on Friday. Other charges against Biddle include two counts of attempted theft from motor vehicles in Hemingby, two counts of burglary in Hemingby, two counts of burglary in Mareham on the Hill, a caravan burglary in Kirkby On Bain on Wednesday and two counts of possessing a knife or blade in the same village, also on Wednesday. In addition, Biddle is charged with two counts of arson in Cambridgeshire last Sunday, two counts of assault in the county on the same day, three counts of criminal damage in Cambridgshire, threats to kill and finally three counts of theft from motor vehicles in Bedfordshire.